Archive of Open Vistas, a 1925 magazine that published poetry and reviews, as well as essays reflecting the editors' anarchist politics. 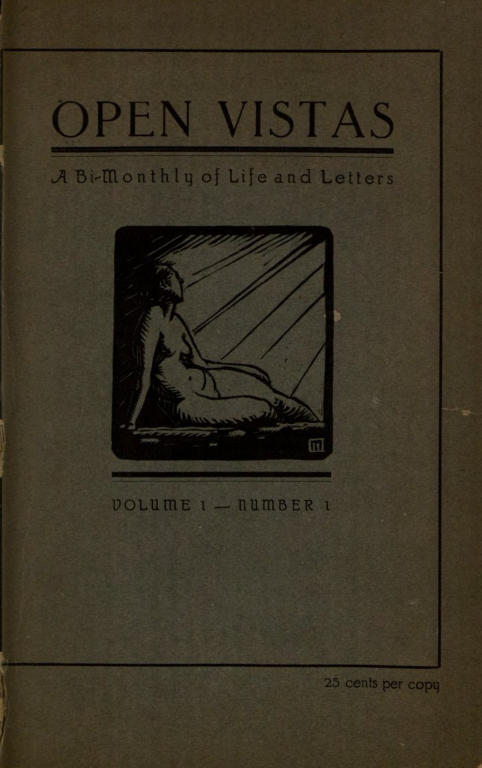 The January-February 1925 issue of Open Vistas a magazine that published poetry and reviews, as well as essays reflecting the editors' anarchist politics. 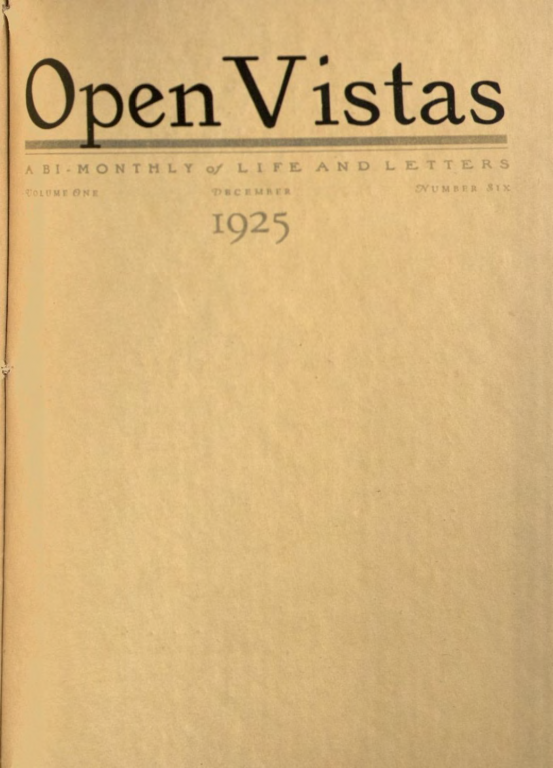 The March-April 1925 issue of Open Vistas a magazine that published poetry and reviews, as well as essays reflecting the editors' anarchist politics. 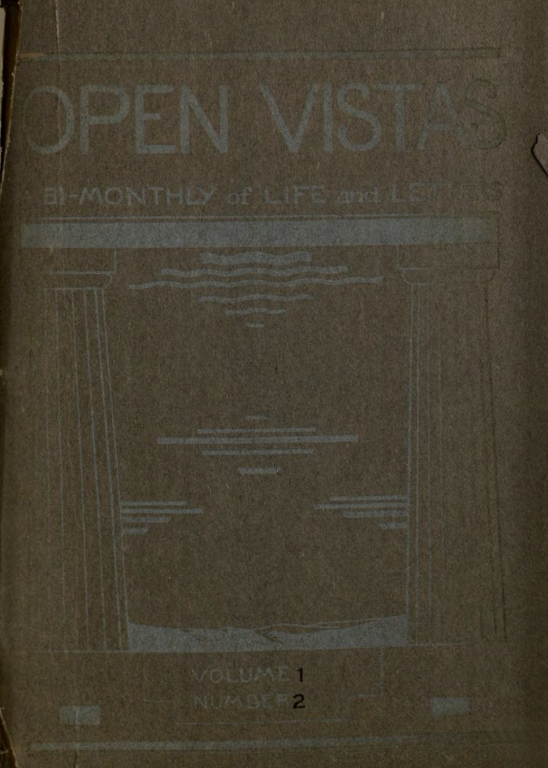 The May-June 1925 issue of Open Vistas, a magazine that published poetry and reviews, as well as essays reflecting the editors' anarchist politics. 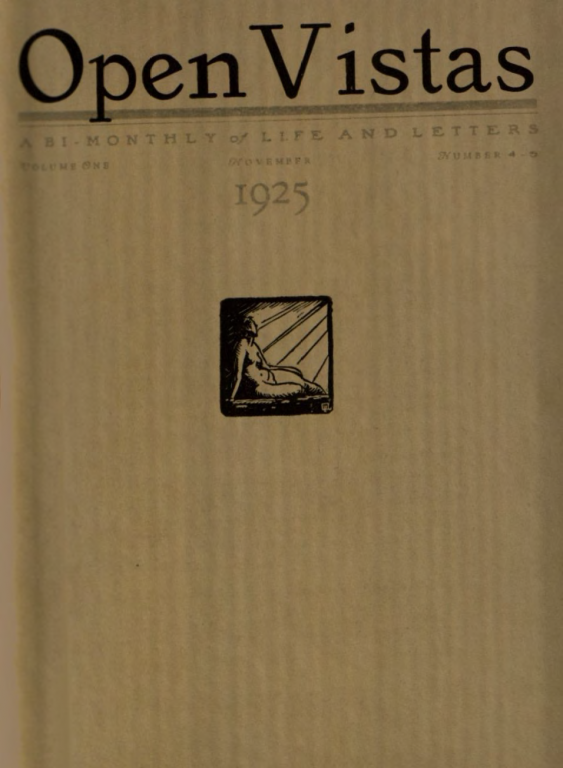 The November 1925 issue of Open Vistas, a magazine that published poetry and reviews, as well as essays reflecting the editors' anarchist politics. 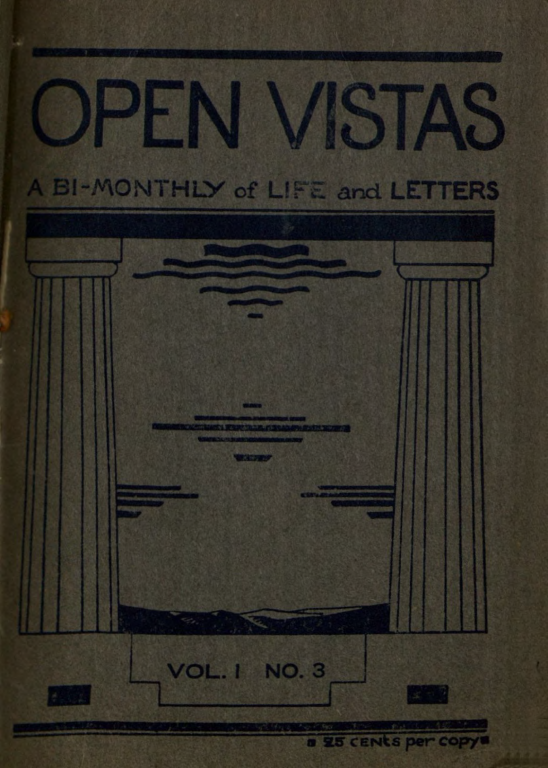 The December 1925 issue of Open Vistas, a magazine that published poetry and reviews, as well as essays reflecting the editors' anarchist politics.